Oh what magic weather we're enjoying now! The colours are so vibrant on these beautiful sunny days, the day and night temperatures are just perfect, hardly any humidity - and we just feel so very sorry for all the visitors who aren't here at this fantastic time of year! 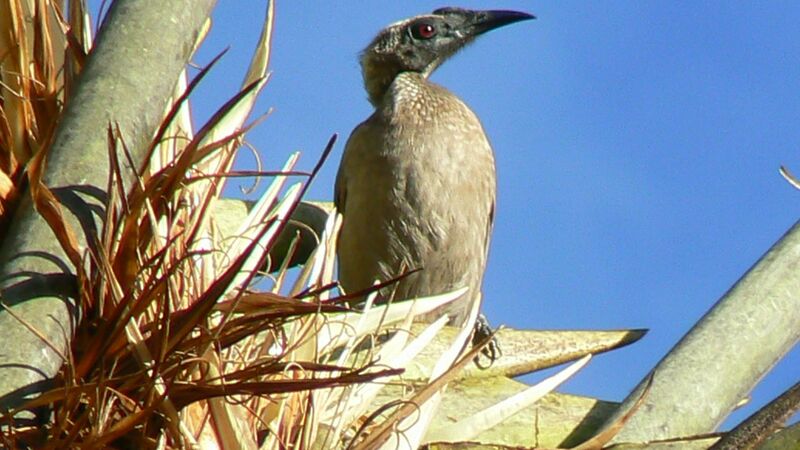 On my walk just now this Helmeted Friarbird kindly posed for me at the top of the traveller's palm where it was foraging for insects in the foliage. These huge plants are not actually palms but are part of the bird-of-paradise family and got the name because the sheaths of the stems hold rainwater - a handy emergency water-supply for travellers.